HOLDING a slender half-time lead over the Swans on Thursday night, the Tigers players grouped together in their usual circle as they prepared for the second half. Only this time, it wasn't skipper Trent Cotchin or vice-captains Jack Riewoldt and Alex Rance delivering the motivational speech to get the Tigers prepared for a crucial half of footy. It was 19-year-old Jack Higgins. 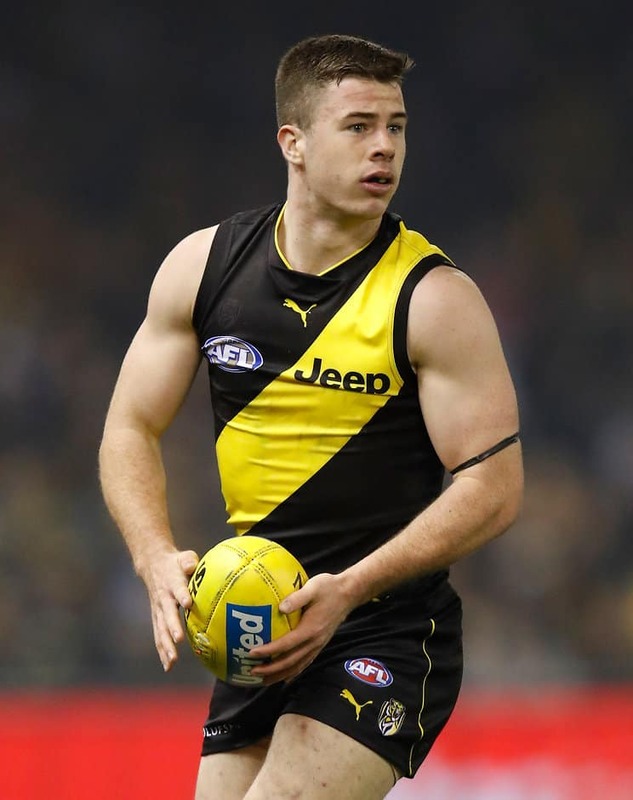 The excitable Higgins' rev-ups have become a tradition for Richmond in recent weeks, with the first-year Tiger not afraid to dish out some words of wisdom for his teammates. It has provided the reigning premiers not only with a burst of energy as they prepare for big moments in important games, but also a means of settling any lingering nerves. And according to Tigers star Shane Edwards, Higgins' speeches are almost becoming a Richmond ritual. "He just gives us an extra rev-up," Edwards told AFL.com.au. "He's done it the last few weeks. Nothing relaxes the boys and gets them up more than a Higgo speech. There's a lot of mumbles and a lot of stumbles, but we love it." Whatever the teenager said to his teammate before the second half, Higgins himself certainly led by example as the game reached a critical point in the third quarter. Providing run and dash with the footy, Higgins finished with 20 disposals and two goal assists to provide the Tigers with a spark in their hard-fought 26-point win. Such a performance was enough to earn the praise of his coach Damien Hardwick. "He's like everyone's kid brother," Hardwick said after the game. "He's an incredible lad. He's just one of those guys you love having around your footy club. We're privileged to have a lot of those guys in our system. "He's not backwards in coming forwards, he's not shy. He's playing some good footy, too. He's only going to get better. "He just adds so much run. When the game started to slow down, he started to come into it. We've been trying to get him more midfield time, so that will probably happen as of next week with Reece (Conca) missing a period of time. "But he's only going to get better and better. He's a funny kid."